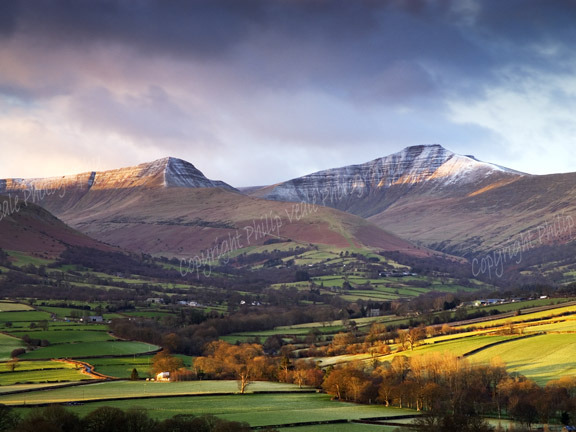 Philip Veale Photography: Pen y Fan and Cribyn, Brecon Beacons. Pen y Fan and Cribyn, Brecon Beacons. The winter sunrise gives a subtle pink glow to this image of Pen y Fan and Cribyn.